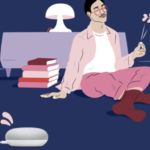 TF International Securities analyst and Apple crystal ball holder, Ming-Chi Kuo, has released more details in what could be coming this year from the iPhone maker’s iMac lineup and more. Sources inform Kuo Apple is said to be adopting mini LED backlighting for its larger iMac, which brings wider colour gamut, higher contrast ratios and dynamic range, plus local dimming, as per the analyst’s quotes in local Taiwanese press. Japanese supplier Nichia will supply Apple with mini LED chips, which would number about 500 in the 31.6-inch iMac at 600 microns in size, claims Kuo. Strictly speaking, this is a quasi-mini LED BLU because the chip size is much larger than those of standard mini LEDs, according to industry sources. However, the use of such a BLU will give opportunities for the supply chain makers to improve mini LED production in cost and yield rate, the sources noted. But more than 10,000 mini LED chips will be needed for the iPad BLU, with the mini LED chips to be produced by Epistar, the LCD panels by LG Display and BLUs by Radiant Opto-Electronics, the sources said, adding the three companies will also be in the supply chain for the mini LED-backlit MacBook. These “quasi-mini LED” backlight units (BLU) would be larger than industry standard mini LEDs, says Kuo, to allow Apple to scale up production and lower costs and improve yield rates in its supply chain. Your poor wallet can’t even imagine how much a maxed out 31.6-inch Apple Display will cost. 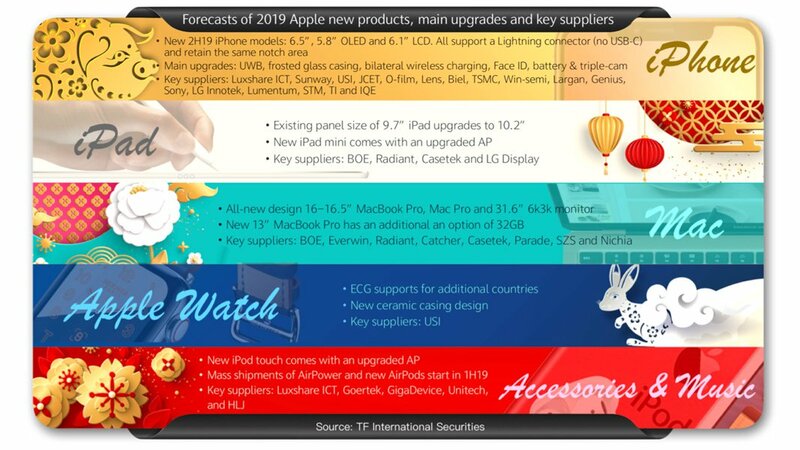 Back in February, Kuo released his predictions for Apple’s 2019 product line up, detailing the debut of 5.8” and 6.5” OLED iPhone models to go with a 6.1” LCD version. He also stated a 10.2” iPad will emerge to replace the 9.7” iPad (turned out to be a 10.5-inch iPad Air), while a 16 to 16.5” MacBook Pro, Mac Pro and huge 31.6” 6K iMac will debut this year. Kuo says Apple Watch will see more ECG support for additional countries (that has already happened—except in Canada), while noted a new iPod touch is coming (hasn’t happened), along with AirPower (that’s dead) and new AirPods (released last month).